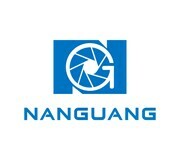 NanGuang CN-600CHS adopt high configured 600 pcs LEDs, Ra: 95, Bi-color, 3200K to 5600K, one high-end and professional studio lighting. Suitable for below scenes: studio, TV station, micro film, advertisement, wedding and so on. 2.Bi color, 3200K to 5600K stepless adjusting color temperature and brightness, fulfill multiply 3.shooting scene request. 4.Metal housing design, durable and top grade. 5.Good heat dissipation, long life service. 6.Multiple power sources: 100-240V AC, 14.8-16V DC, Sony V lock battery, Panasonic/Anton battery.